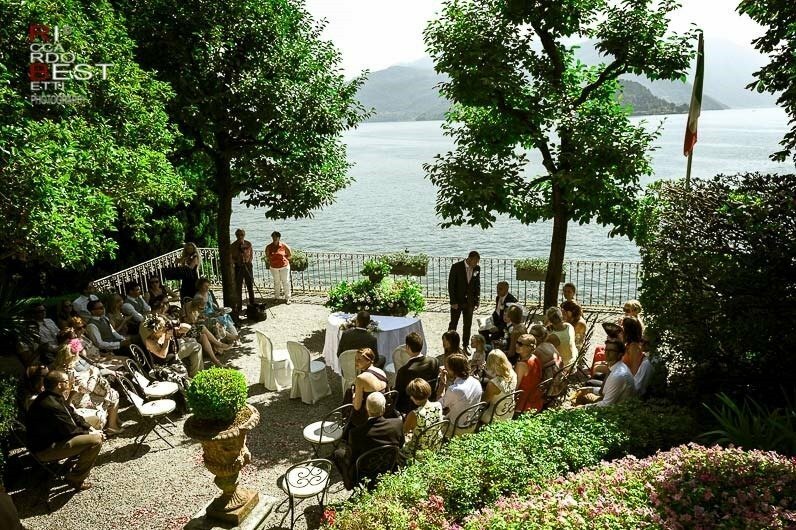 The charming landscapes of the Lombardi Lakes attracts many couples of future spouses each year, one of the most appreciated is the Lake Como with its unique villas, gardens and villages. 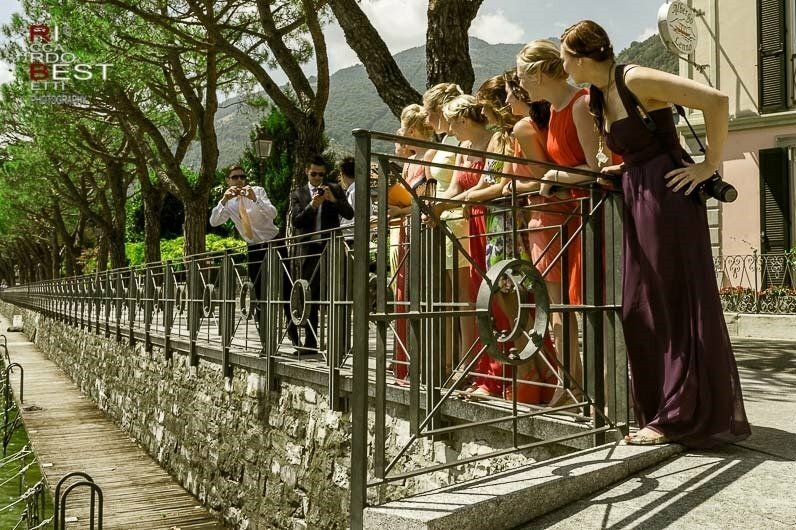 The groom and some guests from the United Kingdom have take his prepared at the Albergo Lenno with a lovely view of the bay of the Gulf of Venus in Lenno, while the bride and her bridesmaidshave take his preparedat Hotel Royal Victoria in Varenna who, thanks to a conservative restoration, keeps all the charm of the nineteenth century. 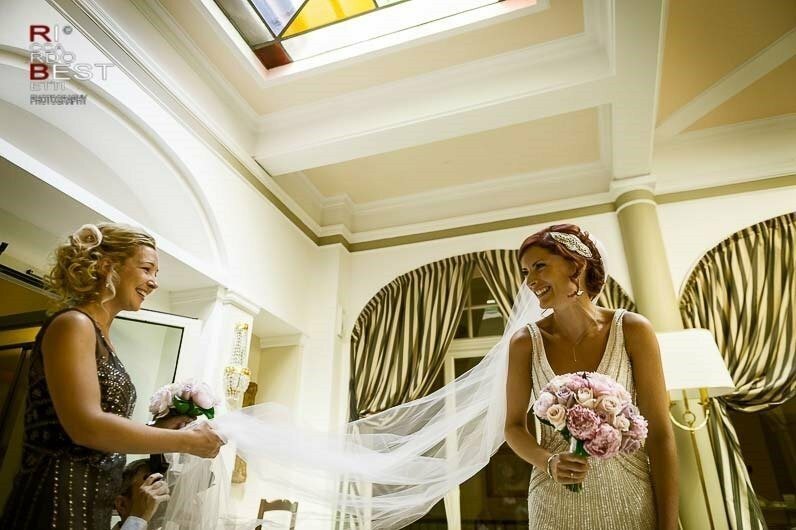 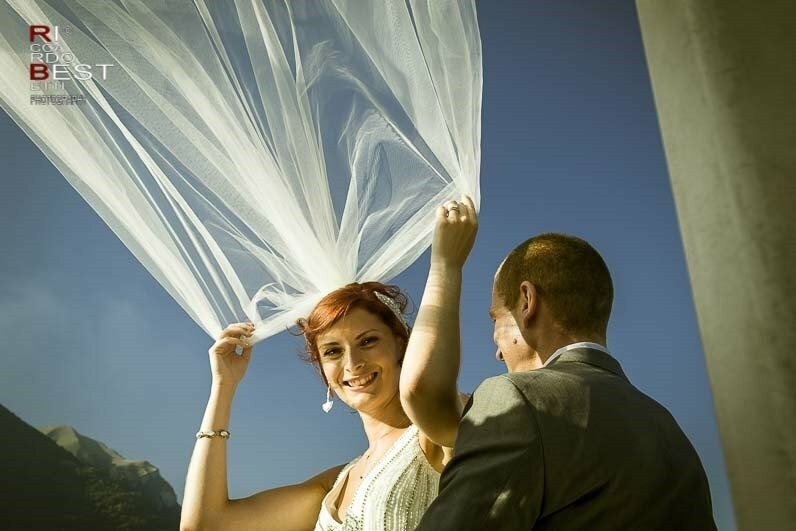 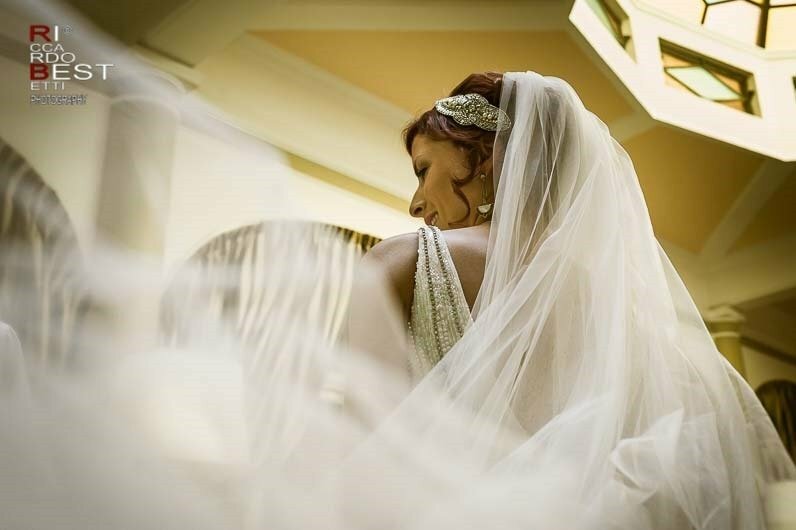 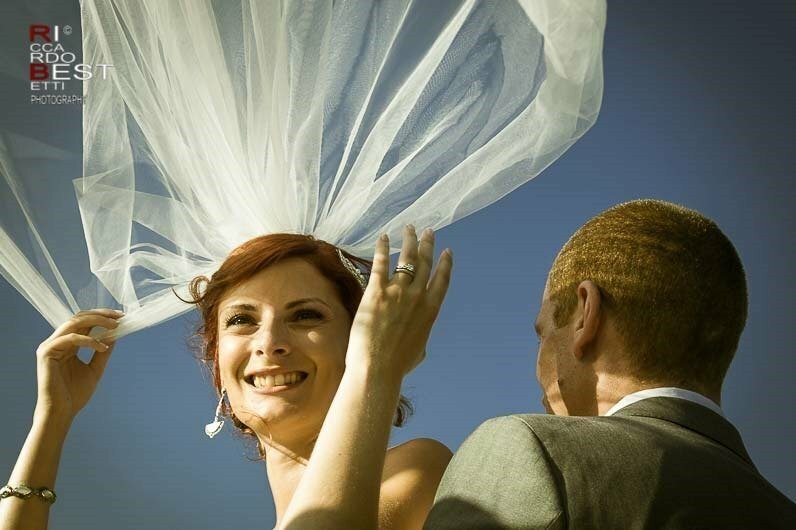 Marie Claire wore a particular bridal dress combined with a simple veil. 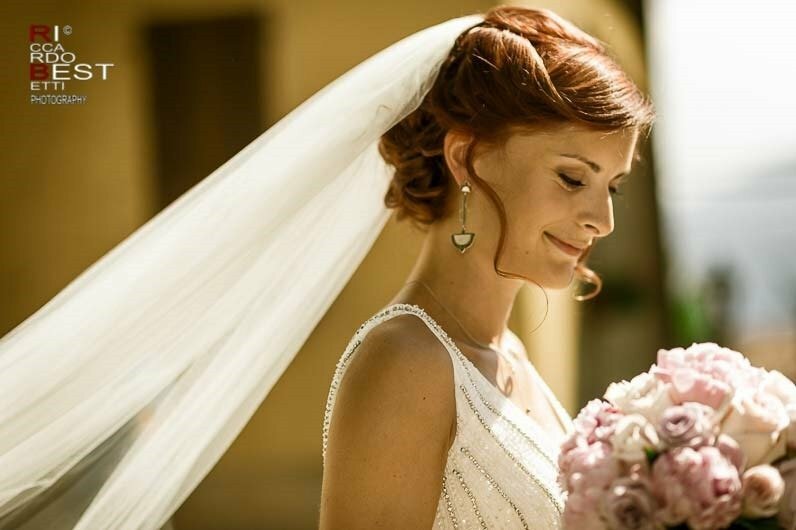 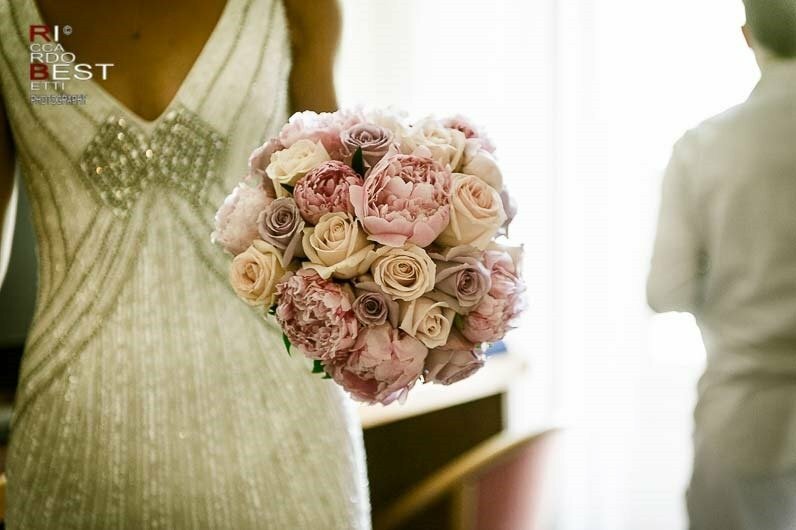 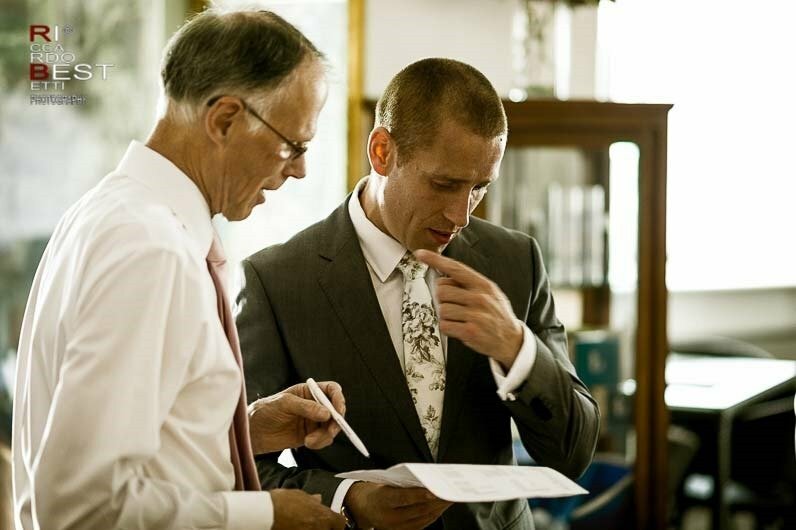 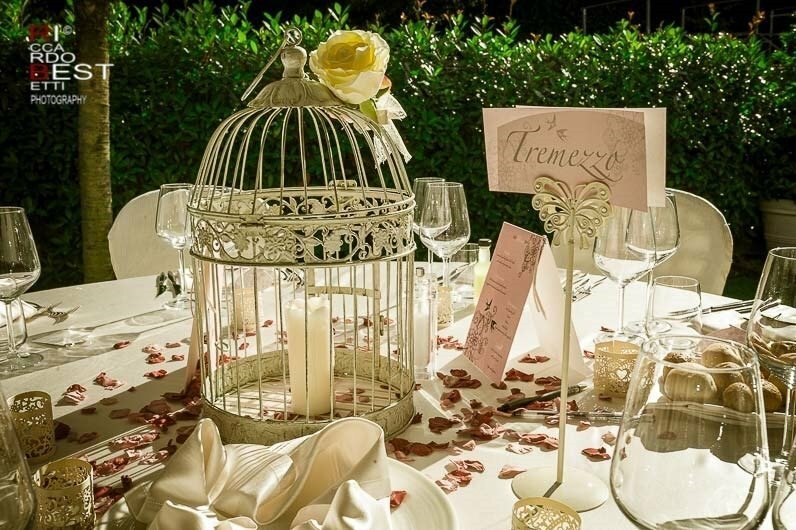 The civil ceremony took place in the gardens of Villa Cipressi, the elegant staircase that leads to the terrace offers the ideal backdrop for the bride’s entrance while the shaded pergola is the perfect area for a fresh aperitif. 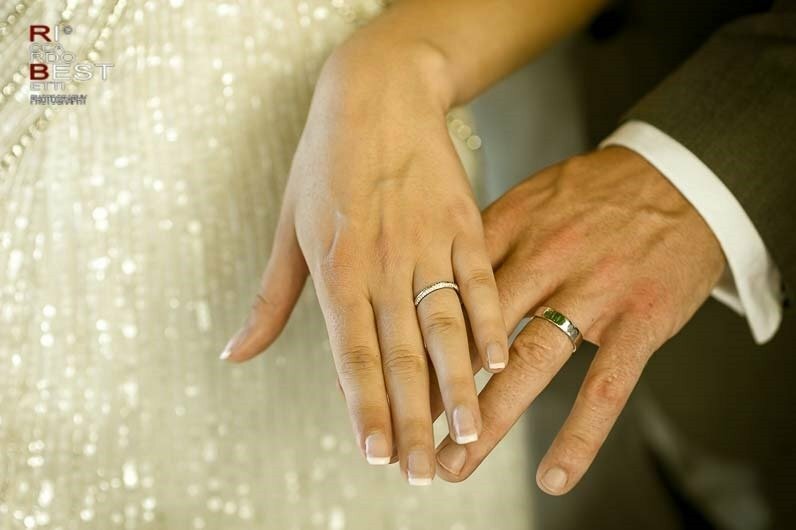 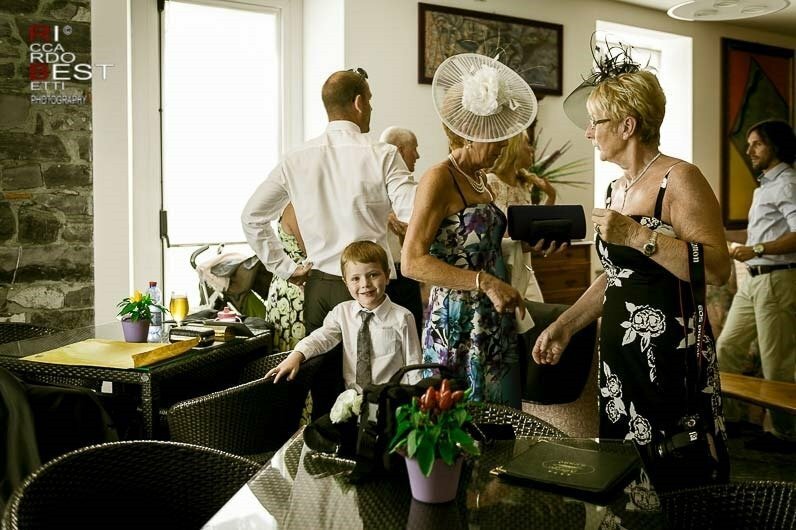 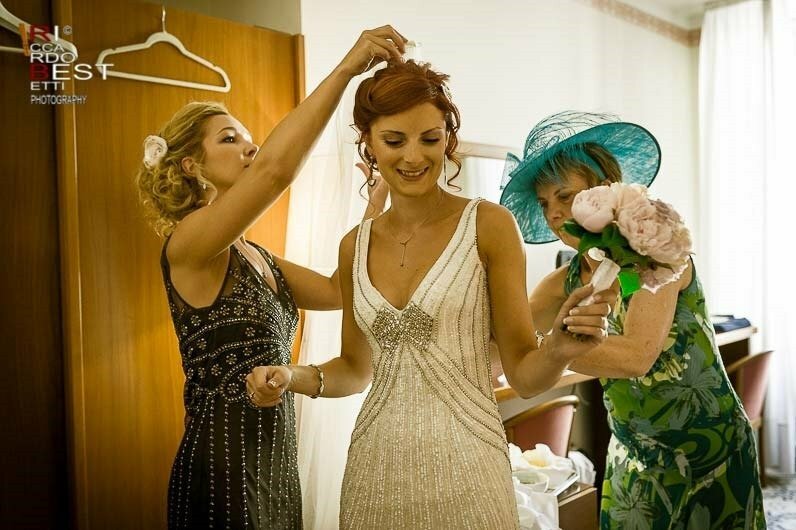 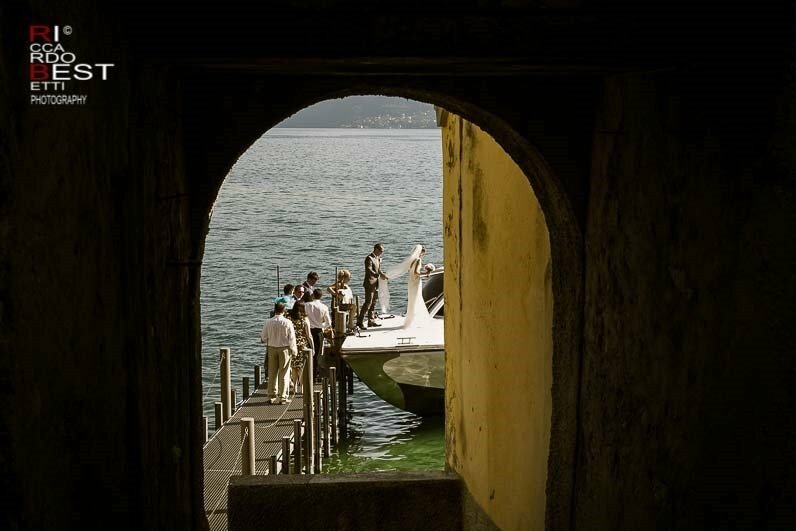 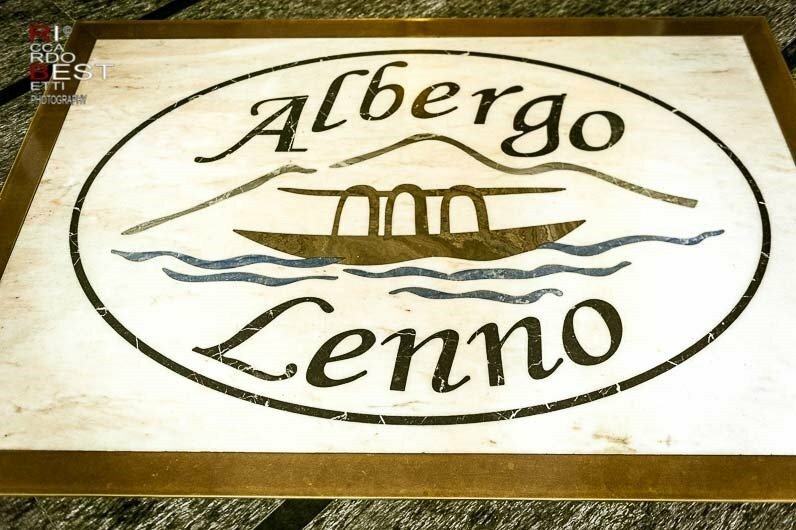 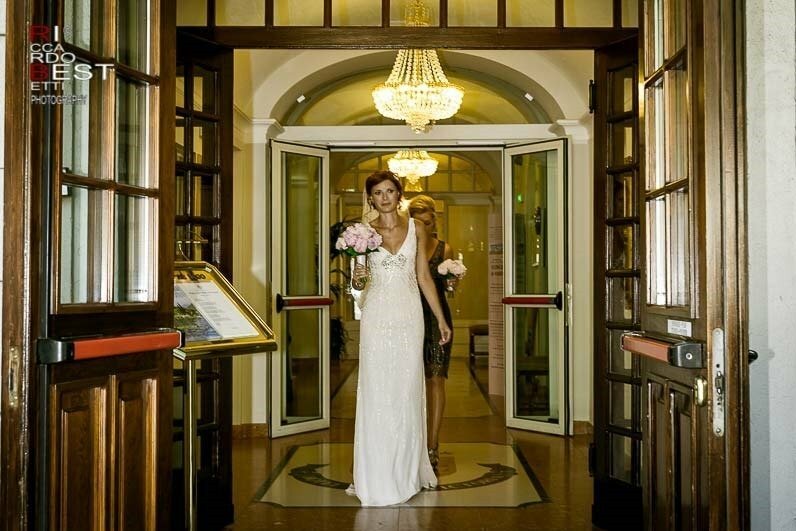 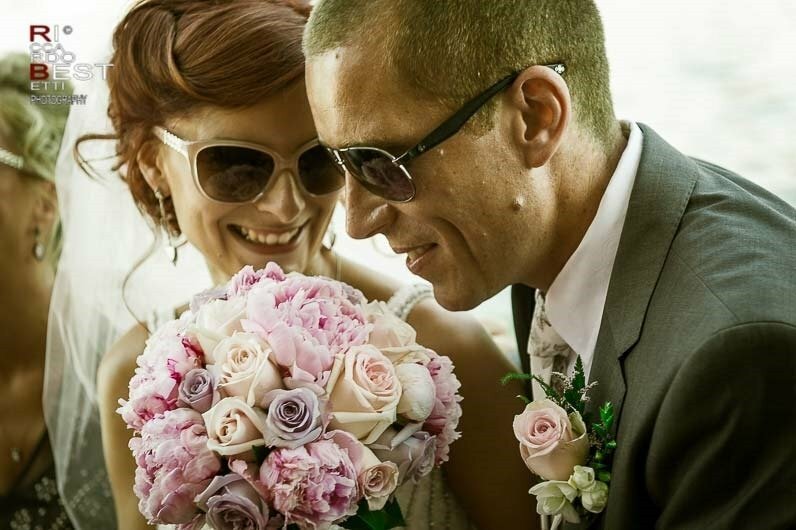 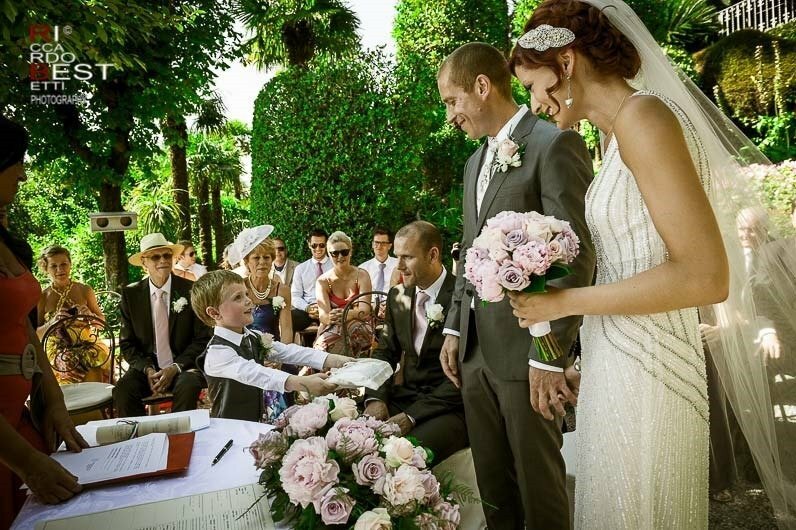 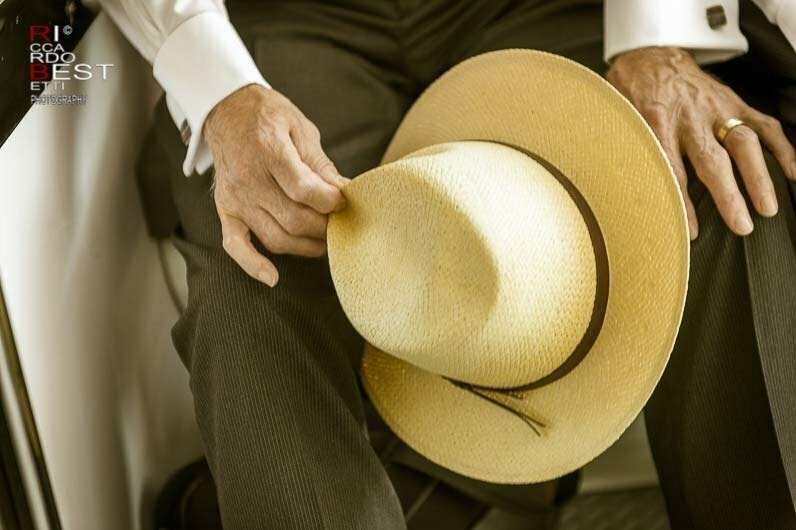 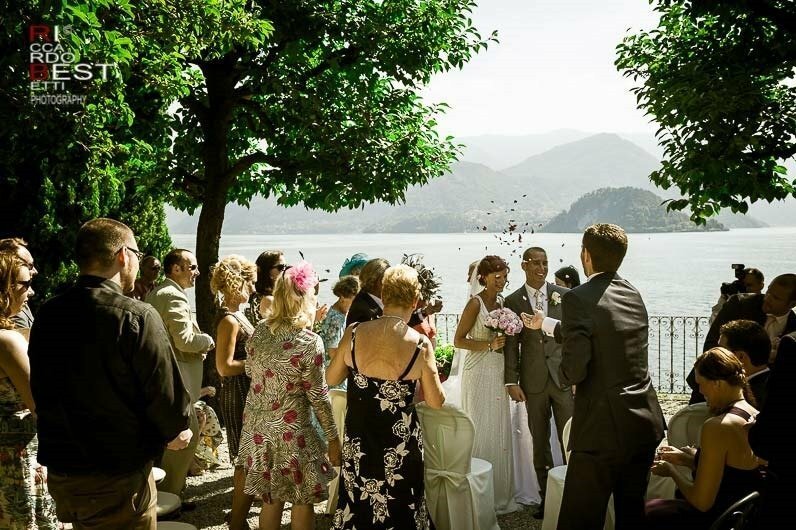 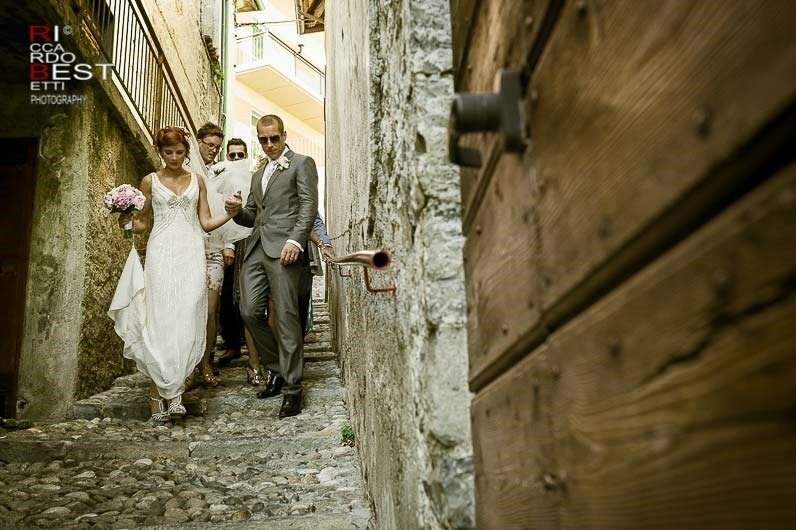 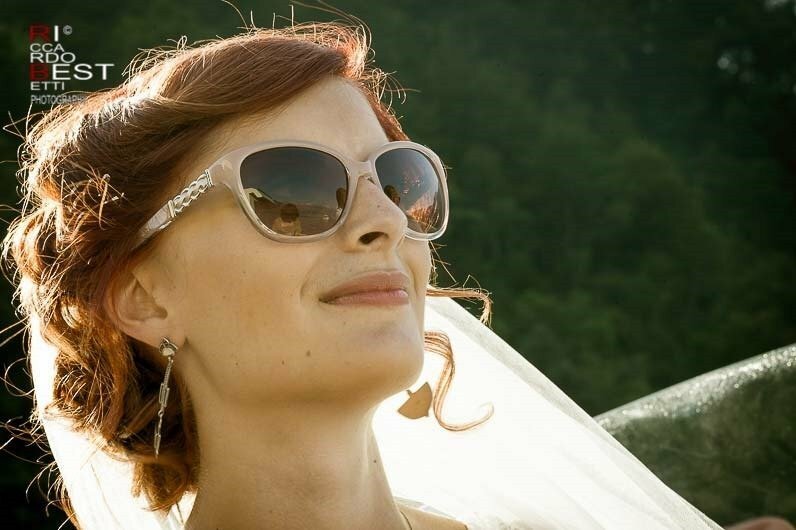 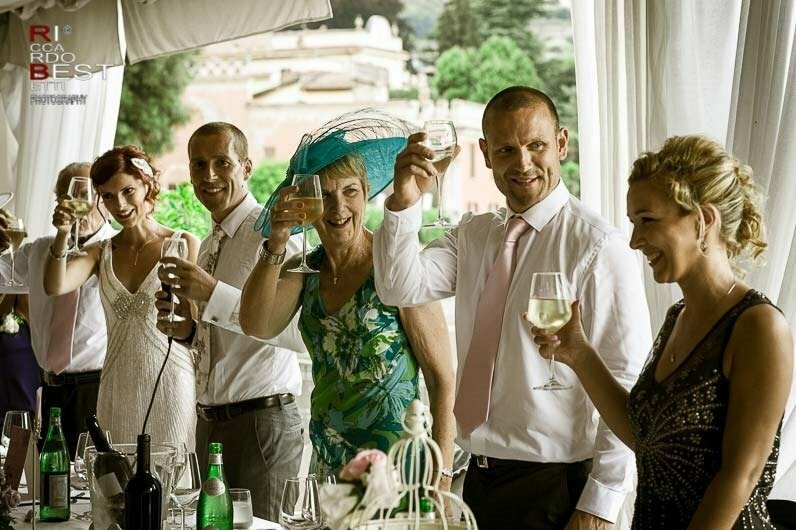 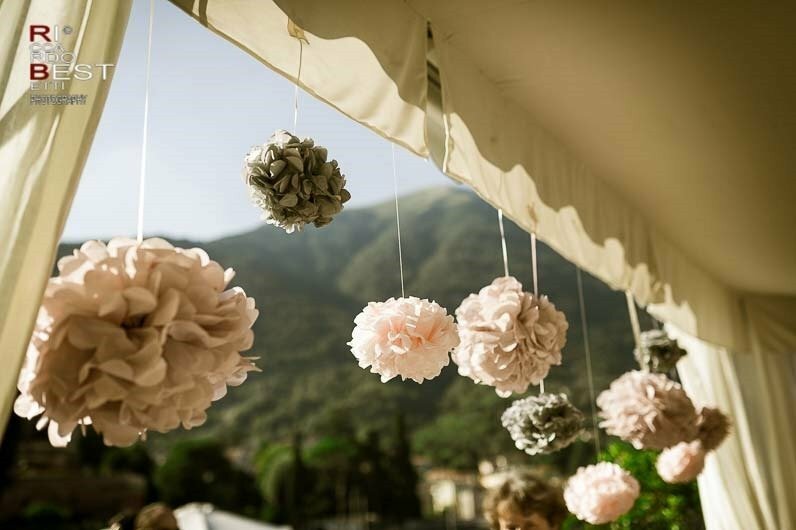 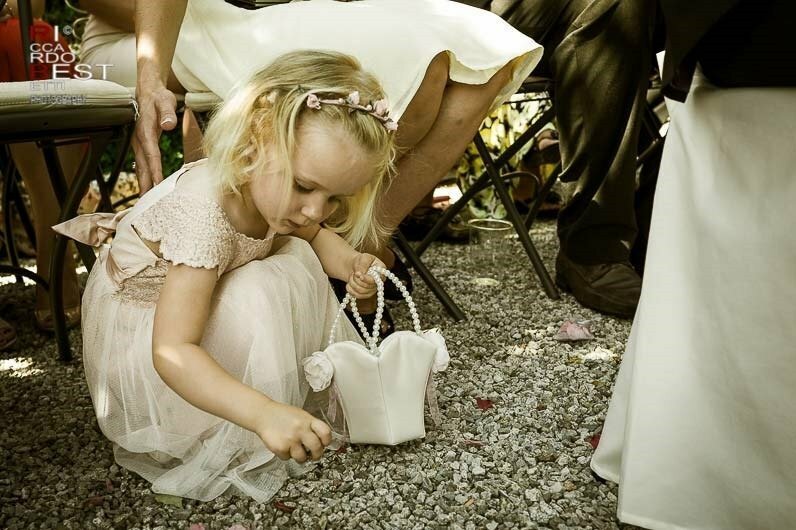 The Lido di Lenno hosting the reception is perfect for those who want a party on the lake shore. 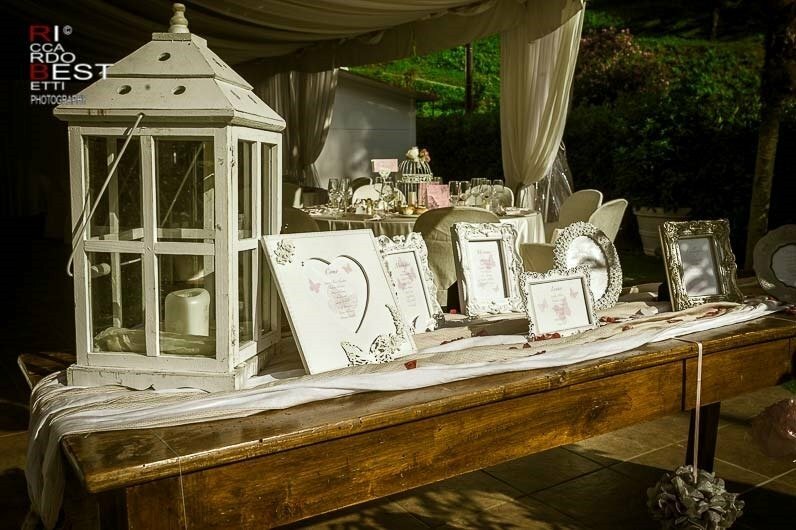 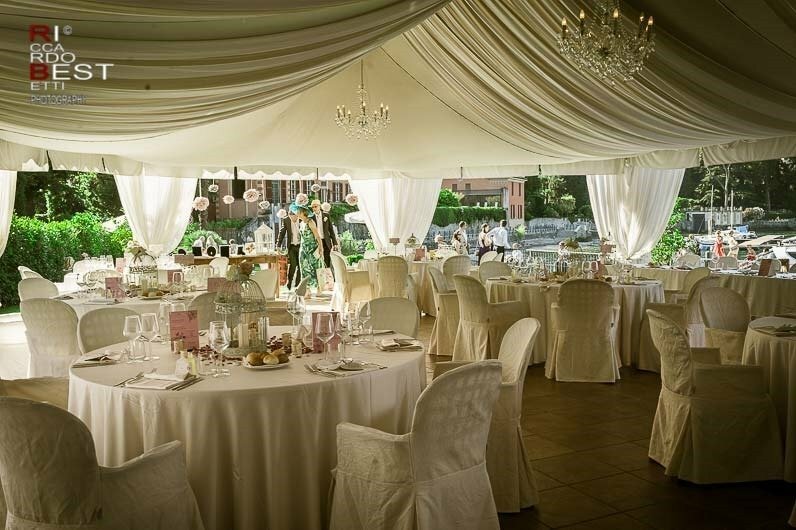 The elegant tensile structure was beautifully decorated in ” shabby chic” style on pink and lilac tones like a tabbles whose names recalled the most famous spots of the Lario.